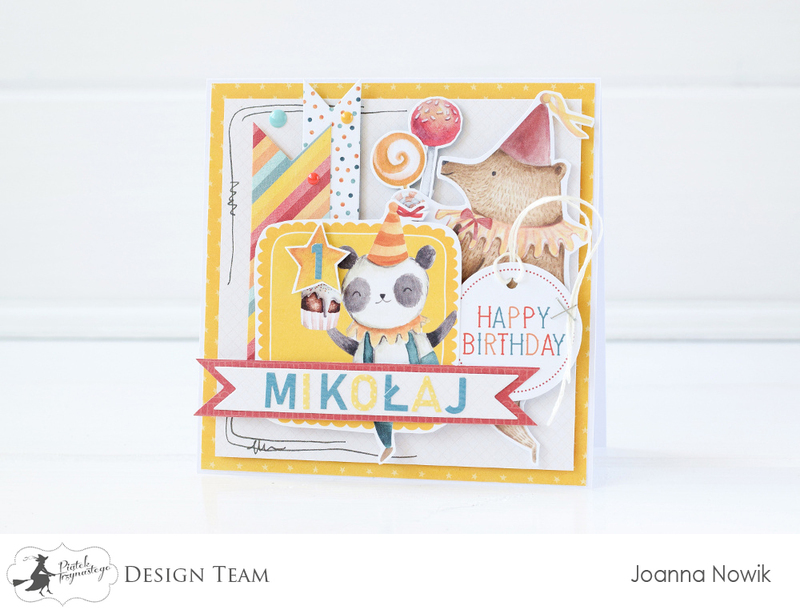 A birthday card [ kartka urodzinowa ] for a one year old boy was created from the Happy Birthday collection. 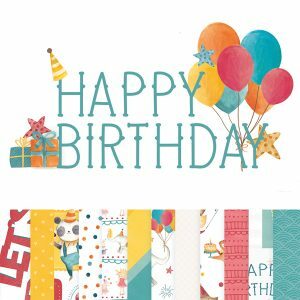 The card itself is very simple – the base is two squares (one slightly smaller than the other). 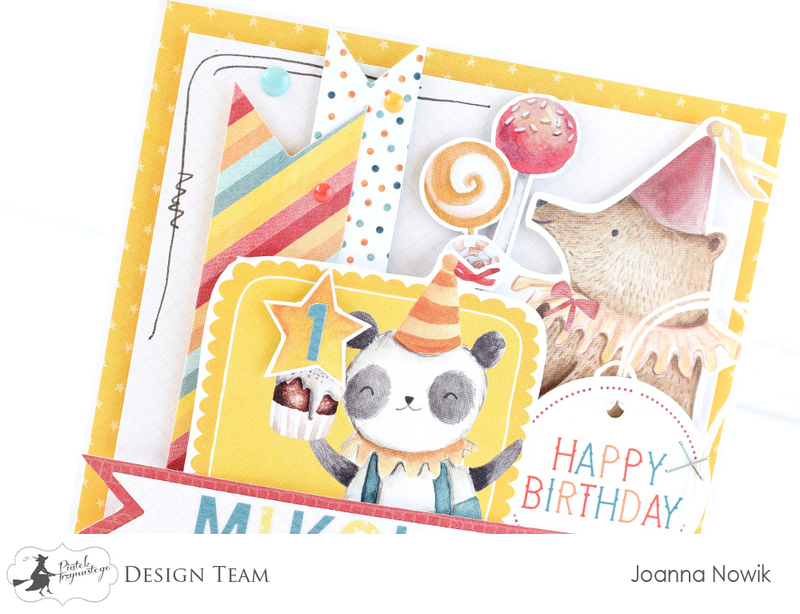 On the top is Happy Birthday paper 04 – this neutral color seemed to be perfect to put on it a few different, multi-colored elements. 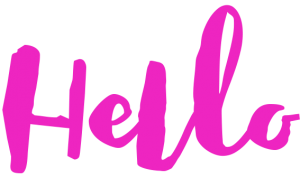 The compositions are created by tags – from sets 02, 03 and 04, as well as elements cut from sheets 02 and 07. 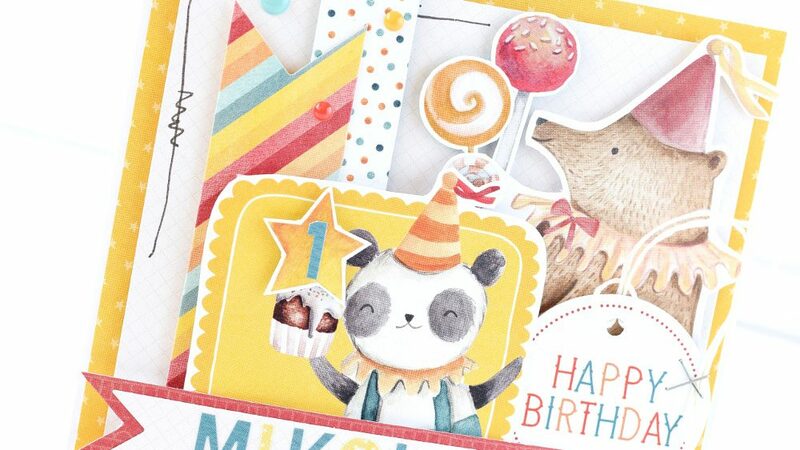 The sticker alphabet helped in personalizing the card – thanks to him we know the name and age of the birthday boy.